Superior Black Plastic. For use with 4 1/8"x 9 1/2" business size envelopes. 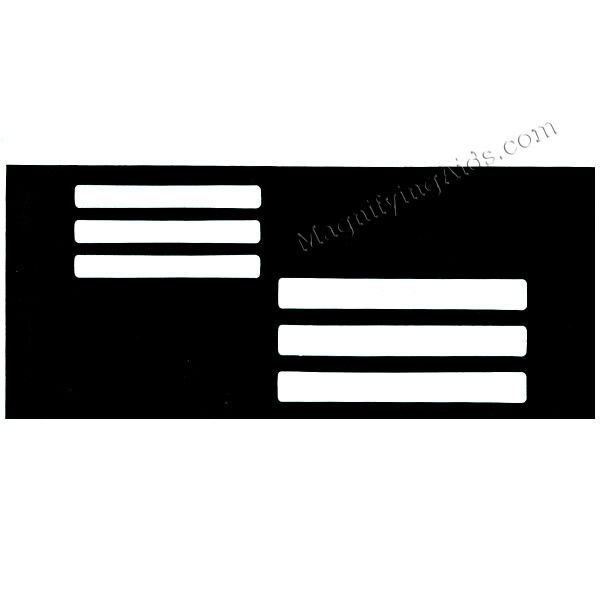 Provides (3) 3/8" wide openings in the upper left corner for return address and (3) 1/2" wide openings bottom right for mailing address.